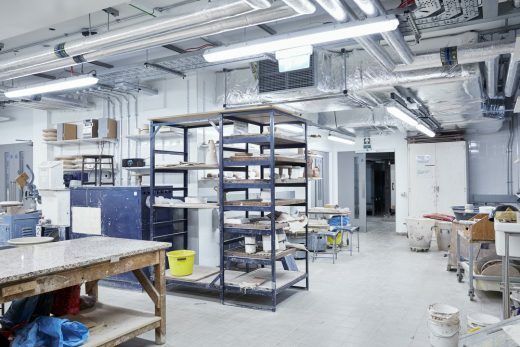 Camberwell College of Arts, UAL will be officially unveiled on Monday, 5 March following a £69million refurbishment. 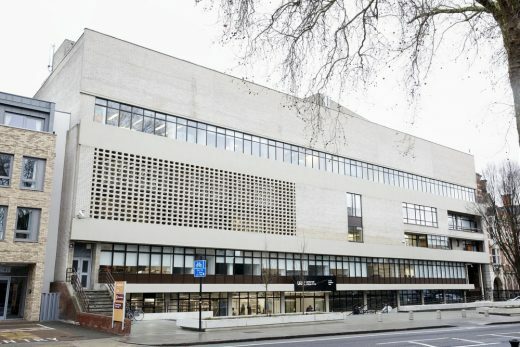 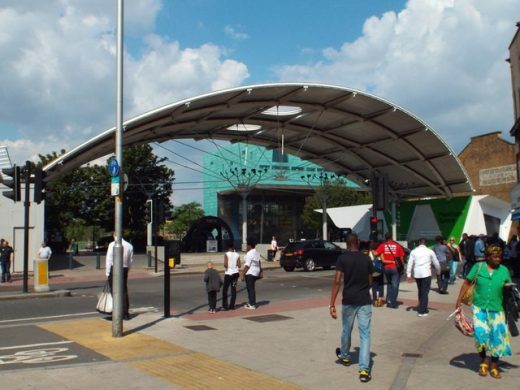 The redevelopment is part of a wider UAL regeneration investment of £440 million in London – including Chelsea College of Arts’ move to Pimlico (2005), Central St Martins’ move to King’s Cross (2011), and the proposed new London College of Communication site at Elephant and Castle. 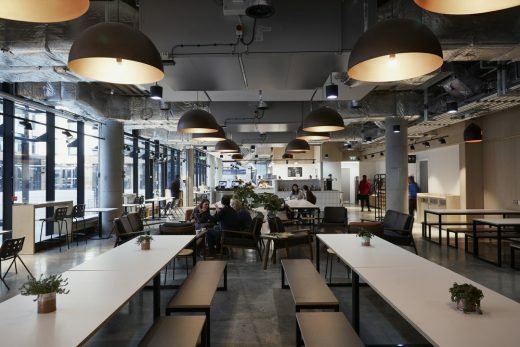 The new redevelopment has refurbished much of the 1970s building and created a new 60,000- square feet extension. 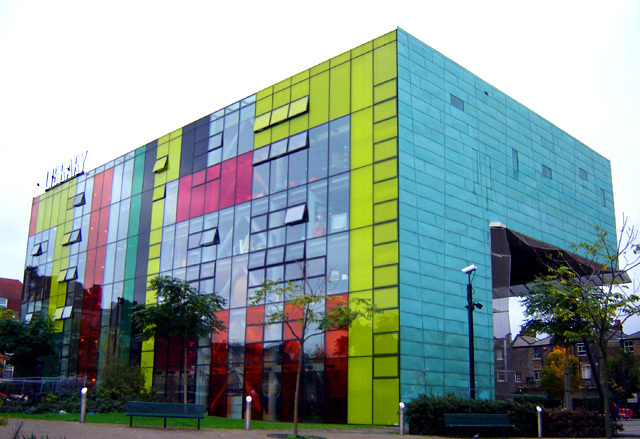 Together they house an enhanced library, a large lecture theatre and creative studios offering first-class facilities for students and staff spanning ceramics, illustration, graphic design, painting, photography and sculpture, among others. 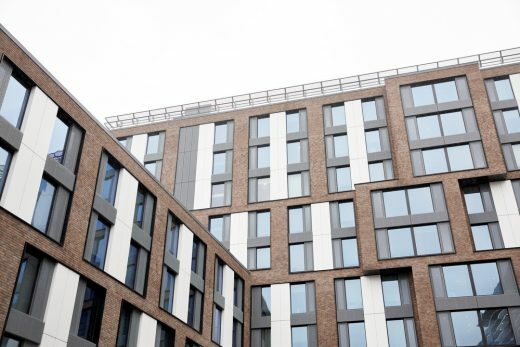 The existing site has been further expanded to offer 264-rooms for student accommodation in a dedicated new building, making it the only art/design London-based college with an on-site campus. 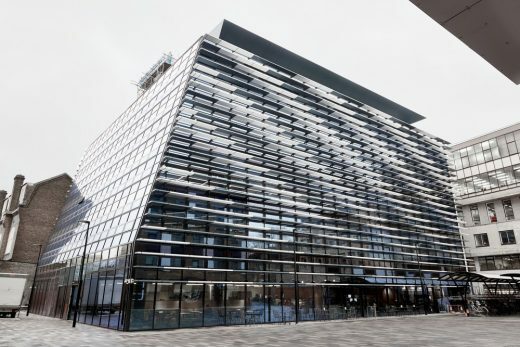 The development has been designed by RIBA awardwinning Stephen Marshall Architects. 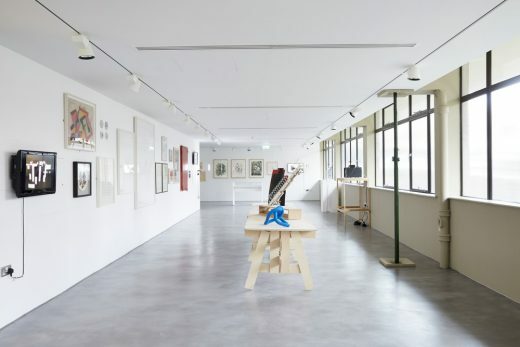 Camberwell College of Arts, UAL has also increased its public offer at the College, with a new 1300square feet gallery space located at the main entrance, on Peckham Road. 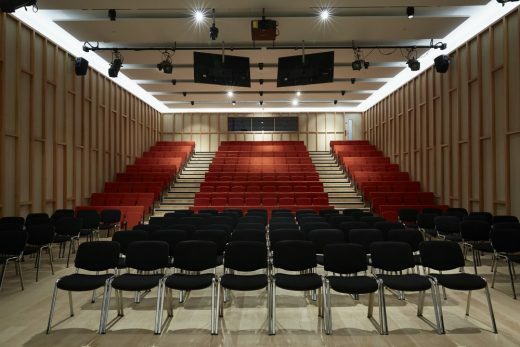 The upcoming exhibition Faisal Abdu’Allah: Facets of a Community will show tapestries by the acclaimed British artist, whose work has been shown at Tate Britain, The National Portrait Gallery and Chisenhale Gallery among others. 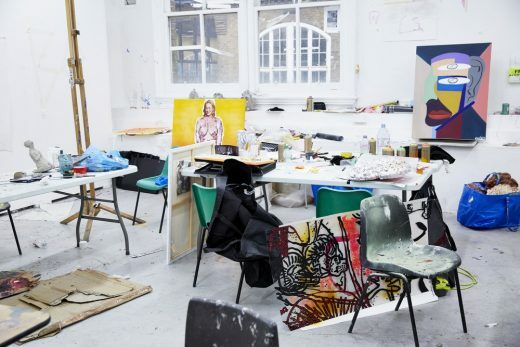 The exhibition will feature tapestries produced in collaboration with local people in and around Camberwell College of Arts, and reflect the College’s close relationship with its locale and the wider London community. The College takes pride in its history of nurturing successful artists, designers, illustrators, photographers and sculptors from across the world. 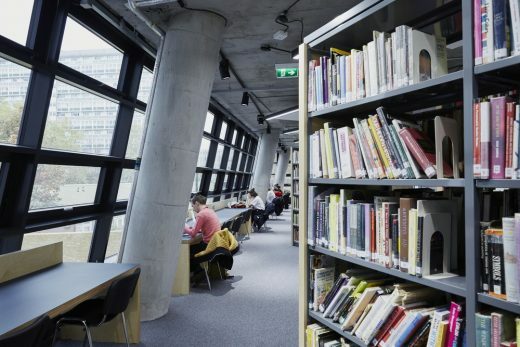 Notable alumni include painters Howard Hodgkin, Gillian Carnegie, Terry Frost, Maggi Hambling and Gillian Ayres; filmmaker Mike Leigh and musicians Florence Welch and Syd Barrett, as well as the Director of Collection, International Art, at Tate, Gregor Muir. 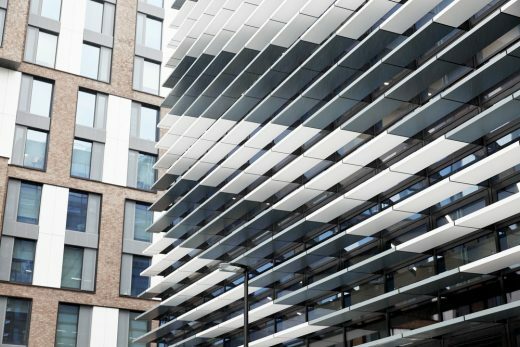 The new redeveloped site of Camberwell College of Arts forms part of the UAL’s 20-year programme of urban renewal, and its ambition to transform the student experience through investment in its grounds. 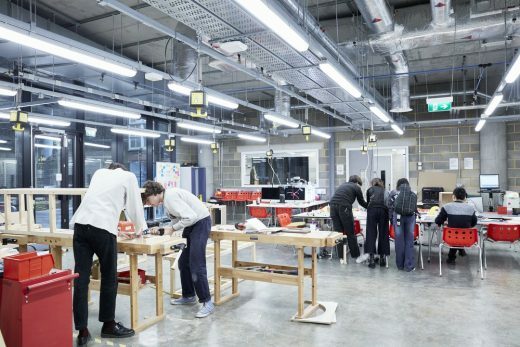 UAL are determined to hold their position within the Top 10 Universities in the World for arts and design education and are committed to continuing to nurture artistic practice and the generations of artists to come.